Last December, after Shabbat ended, I was walking near the Machane Yehuda, Jerusalem’s famous open-air market, when I saw people celebrating the beginning of the week with drinks in hand and music blasting in the background. What drew my attention to the scene was a vibrant song in Arabic. It was Israel’s latest pop hit, Habib Galbi, by A-WA, a musical group composed of three Israeli sisters whose heritage traces back to the Jewish community of Yemen. Recently, Arabic songs have found their way into mainstream Israeli radio stations, clubs and public gatherings. But this wasn’t always the case. While approximately half of Israel’s population are Mizrahim, descendants of the Jewish communities in Middle Eastern countries (Arab countries and Iran), not many songs have been produced in Arabic until recent times. 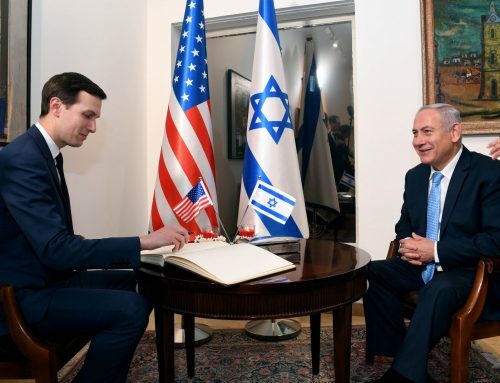 From the 1950s onward, all immigrants to Israel were encouraged to speak only in Hebrew, since it was the language they would use at school, work, and in all aspects of their life in the newly founded state. Moreover, due to their Middle Eastern heritage and connections to the Arabic-speaking world, the Mizrahim experienced marginalization in various aspects of Israeli society. 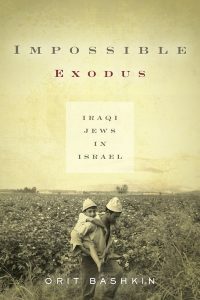 Orit Bashkin, Professor of Middle East Studies at the University of Chicago, grapples with this marginalization in the early years of the Israeli state – and the hardships of Iraqi Jewish olim (Jewish immigrants) in state-run transit camps – in her new book Impossible Exodus: Iraqi Jews in Israel. Throughout the book, Bashkin has dual goals: she demonstrates the plight of the Iraqi Jews as immigrants living in vulnerable circumstances, and also shows their resilience as new citizens possessing a high level of social and political organization and intellectual prowess. At the time of Iraq’s independence from Britain in 1932, the Iraqi Jewish community was predominantly urban and cosmopolitan; they numbered at 90,000 in the city of Baghdad, along with other small pockets located in Basra and Mosul. Bashkin says that in the 20th century, the Jewish community was very integrated into Iraqi life and contributed significantly to the social, political, economic, and cultural fabric of their country, and she credits Iraq’s exceptional public and private system of education for this integration. 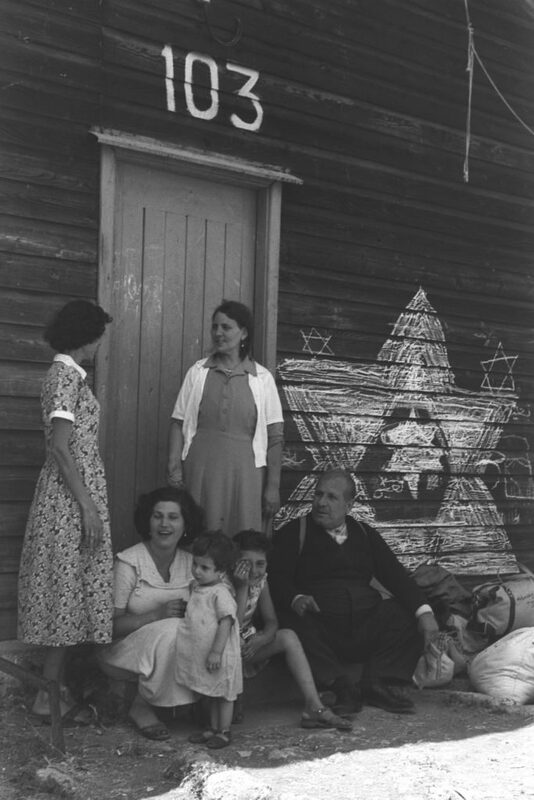 An Iraqi Jewish family at the Atlit transit camp in northern Israel hours after arrival in Israel, summer 1951 (Teddy Brauner, GPO). From the Times of Israel. However, the emergence of support for fascism and Nazism in the 1930s laid the groundwork for hatred against Jews in the region. According to a country profile on Iraq in The Jewish Virtual Library, “In June 1941, the Mufti-inspired, pro-Nazi coup of Rashid Ali [an Iraqi politician] sparked rioting and a pogrom in Baghdad during the Jewish Feast of Shavuot. Armed Iraqi mobs, with the complicity of the police and the army, murdered 180 Jews and wounded almost 1,000 in what became known as the Farhud [meaning violent dispossession or pogrom in Arabic].” Bashkin writes that the Farhud was the lowest point in the history of the community. Bashkin also says the establishment of the state of Israel in 1948 made the experience of the Jews in Iraq more difficult on various levels. The right-wing press in Iraq published articles accusing the Iraqi Jews of having a “treasonous Zionist” character. The police also began to arrest politically active Jews, assuming that they were Zionists. Baskin says Jews had enjoyed a very comfortable life in Iraq and did not want to leave their country. Nevertheless, in the late 1940s, the Israeli state began to negotiate the future status of Iraqi Jews with the Iraqi government. It feared another Holocaust in the Middle East. 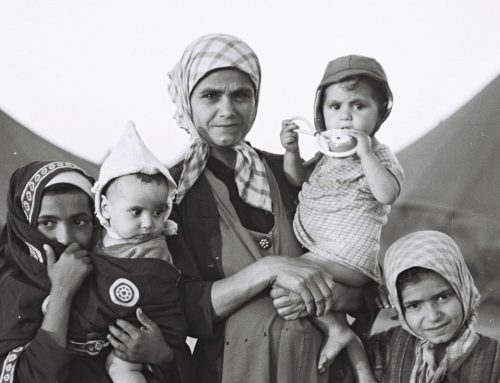 The statistics provided by Bashkin indicate that approximately 123,000 Iraqi Jews immigrated to Israel between 1950 and 1952, leaving thousands of years of cultural and social contributions behind in their native country. According to Bashkin, in the late 1940s the Jewish communities in the Arab world numbered approximately 750,000. Since the mass exodus of Jews from Iraq, Syria, Yemen, and Egypt, amongst other countries, the numbers of Jews living in the Arab world have continued to diminish for decades; they number at approximately 3,000 in the present day. The indigenous Jewish identity that once existed in Middle Eastern Arabic-speaking countries has disintegrated. In the aftermath of this Jewish mass exodus from the Arab world, Israel coined the term mizrahi to describe these Jewish communities. While scholars of Jewish history tend to get trapped in the idea of the “Mizrahi” identity, it is important to continue the conversation around identity with the people who originate from those communities in order to develop a more nuanced understanding of Jewish identity in diverse parts of the world, and across the generations. 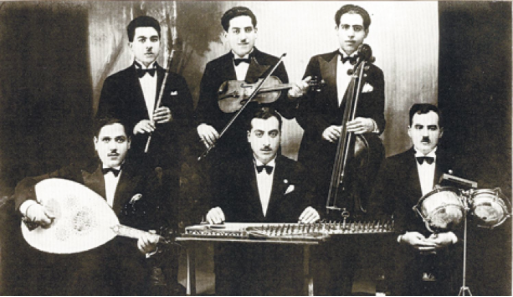 “Radio Baghdad orchestra, 1936. Saleh al-Kuwaity is in the back with a violin, with Daoud in front of him. They won the favor of the Iraqi king.” From Haaretz. In Israel’s present-day mainstream music scene, some Jews of Baghdadi heritage have been working to reconnect with the thousands of years of history they share with the Arab and Muslim world. Dudu Tassa, a popular Israeli artist, is a descendant of the Iraqi Jews of Baghdad. Tassa’s grandfather, Daoud Al Kuwaiti, was part of an ensemble in Baghdad that sang to the King of Iraq in his time. 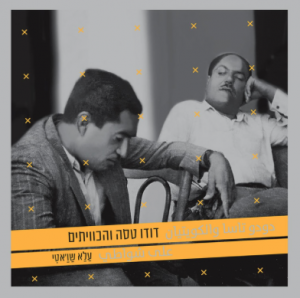 Daoud and his brother, Saleh Al Kuwaiti, were two of the most influential composers of modern Iraqi music, and – although they immigrated to Israel in the 1950s – their music can still be heard throughout the Arab world today. To honor their memory, Dudu Tassa founded his own ensemble, “Dudu Tassa and The Kuwaitis.” Ninet Tayeb, an Israeli actress of Moroccan-Tunisian Jewish origins, has joined forces with Dudu Tassa and has played concerts in Arabic in Israel (watch an excerpt). These artists are not only reclaiming the past of their ancestors in the region – they are reawakening the slumbering heritage of millions of Israelis and Jews around the world with roots in the Middle East. 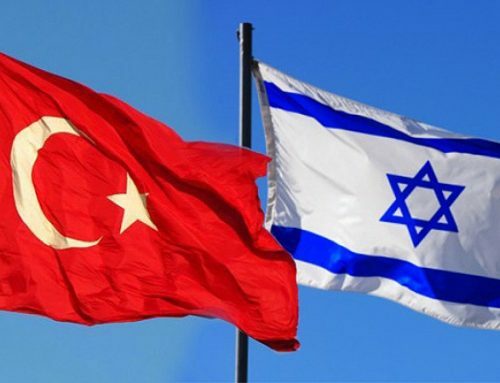 The Israeli State has recently taken an interest in reigniting the lost connections with Jewish diasporas from Middle Eastern countries, as well. 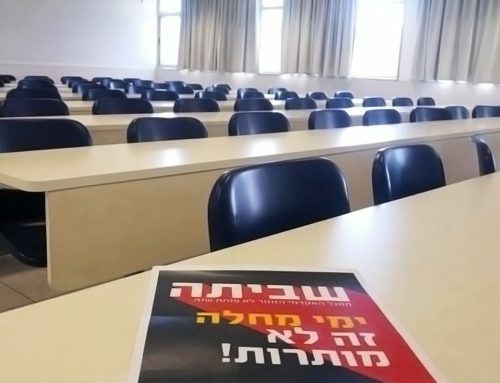 In 2016, Minister of Education Naftali Bennett nominated Erez Biton, an Israeli poet of Middle Eastern Jewish heritage, to work as the leader of the “Biton Committee.” In order to elevate this part of national heritage within Israeli society, this committee has made recommendations about how to teach the history of the Sephardi and Mizrahi communities at universities and schools. In a post-Holocaust world, Germany, Hungary and Poland have been working to redeem themselves from the atrocities of the past by providing reparations and recognizing their dark history with the Jewish people. Today, Berlin is a thriving hub for Israelis, and a Jewish renaissance has been taking place for years in this multicultural European city. Although the plight of the Jewish people in the Middle East was not a genocide, but rather a forced migration, the question lingers: will countries in the Arab world recognize the difficult parts of their history with the Jewish people? 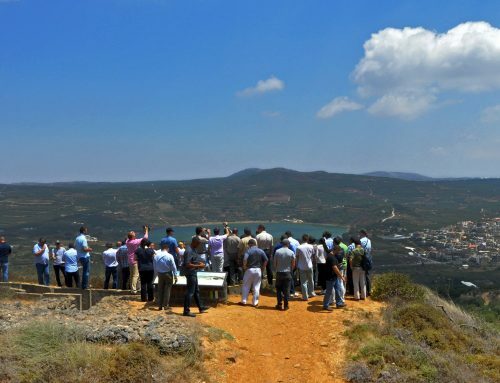 How will Middle Eastern governments preserve the historical memory and former sites of Jewish communities? 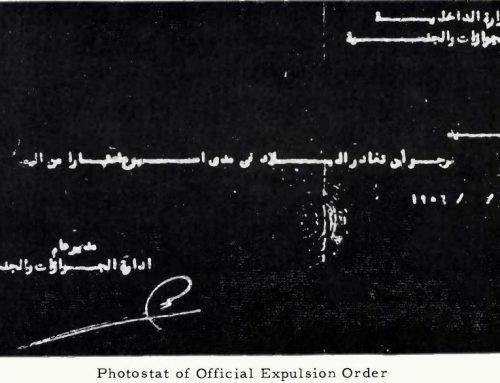 Will Cairo, Baghdad and Beirut ever welcome back the descendants of their expelled brothers and sisters? 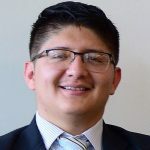 Pablo Jairo Tutillo Maldonado who hails from Connecticut, will pursue an MA in Middle East Studies at the Jackson School in the Fall 2017. Pablo obtained his BA in International Relations and a minor in Arabic Studies from Connecticut College. 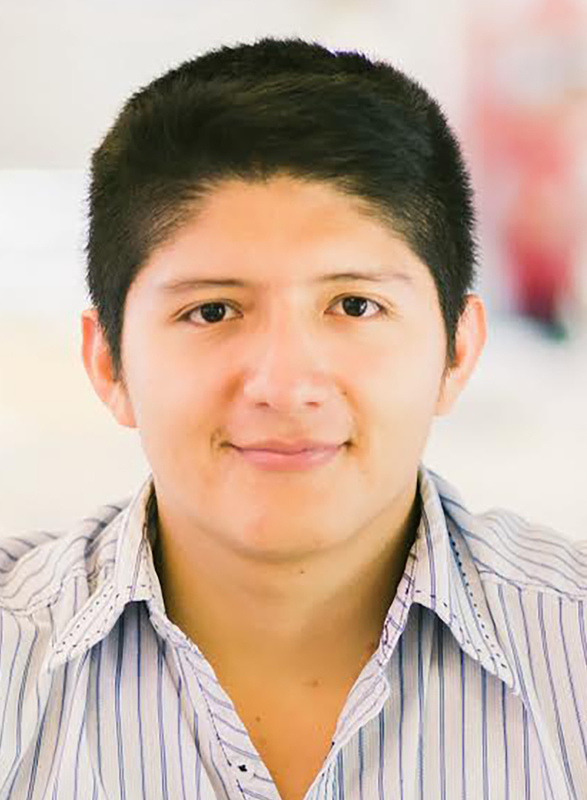 Pablo has studied at Alexandria University in Egypt and at The Hebrew University of Jerusalem in Israel. At UW, Pablo is interested in researching the intersection of history and politics of countries in the Middle East, particularly the political and historical narratives of Jewish refugees from the Arab world. He speaks conversational Arabic, Hebrew and Turkish.